Upon seeing a chess player at a tournament, we may assess them based upon their chess strength. However, there are many instances where a chess novice serving as a weekend punching bag in chess can be a world-class expert in their profession! These persons may be so esteemed in their fields that it would be hard to believe their talents don't automatically transfer. However, 61-year old Charles Covington, has excelled in most everything he has done. Besides being a U.S. Life Master in chess, he is a world-class pianist, a master magician, a 100-square checkers expert, a portrait artist, a former champion body builder, and the earner of a black belt in Karate. NM Covington said in this 90-minute phone interview that, "Those who know me for my music don't know I'm a chess master; those who know me for chess don't know that I'm a musician." Well… now we know. Born in Baltimore, Maryland in 1941, Charles Covington learned chess at the relatively late age of 22. One day while visiting cousin Ray Davis, he saw a group of strange artsy-looking figures arranged on a red and black board and asked what they were. His cousin (now a Baltimore judge), told him it was a chess set and showed him the moves. Charles was so excited that he went out and bought Irving Chernev's Winning Chess Traps. In no time, he was beating neighborhood rivals with ease, but his interest would not elevate for another four years. While a senior at Douglass High School, Charles discovered that he had an uncanny ability to hear musical tones and took an interest in music. 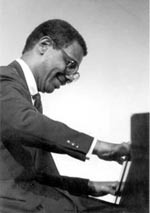 After a brief stint in the Army Reserve, Charles had developed a reputation as a promising pianist and played chess on the road, including an immortal game with jazz great, Dizzy Gillespie. He was inspired by music greats such as Earl Garner and Ahmad Jamal, but also played with the likes of Chuck Berry and Charlie Rouse. He spent a lot of time on the road playing in various cities including "the Village" and the greater Manhattan area. He also played on Baltimore's "Avenue Strip" and often socialized in the circles with Count Basie and Duke Ellington. During his 3-year stint in New York, the talented musician would often visit the Chess and Checker Club on 42nd and Broadway and rubbed shoulders with the likes of GM Pal Benko, GM Larry Evans, GM Bobby Fischer, GM Walter Browne, IM Kupchic and professional hustler, NM Asa Hoffman. In his book, Memoirs of an African American Master, he stated, "These were my early training years and I learned much more than I could have ever learned from any number of books." "A good magician can do any kind of trick. I just use whatever is around me." In 1969, Charles tried his hand at tournament chess and entered the Baltimore Open. He won 1st place in the "C" section and earned his first rating of around 1500. He would play off and on for many years, but would finally gain enough momentum to make Expert, then Master, and finally the Life Master title (300 games of over 2200 ELO). He has good memories of sparring with the like of Ken Clayton, Frank Street, and Emory Tate. "I used to play the Polugaevsky Variation of the Sicilian. Tate liked playing me because he liked to sac." In his memoirs, he has a record of his encounters with a number of players including FM William Morrison and former World Junior Champion, IM Mark Diesen. 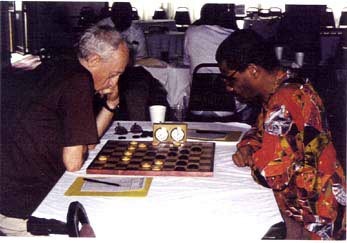 Charles' most memorable game was a 1979 encounter against NM Sam Greenlaw in which he played the Center Counter (1.e4 d5!?). Greenlaw appeared insulted and starting slamming the pieces. Despite building a strong position, Greenlaw overextended and lost. The disgruntled master tipped his king and walked away without saying a word. Besides his magic over the board, Charles had developed a penchant for making coins disappear, and performing elaborate magical stunts. At age 13 or 14, he developed a fascination with magic after seeing the magician "Blackstone" on the Ed Sullivan Show. Charles talked candidly about the origins of magic in ancient Kemet (Egypt) and mentioned that its practitioners were burned at the stake for practicing "witchcraft." This happened until the late 1500s when Reginald Scott demystified the craft by writing a book demonstrating the techniques. Asked about his repertoire, Charles claimed, "A good magician can do any kind of trick. I just use whatever is around me." He often attended Magician Conferences where magicians would do close-up shows and highlight up-and-coming magicians. Megastar David Copperfield was often among the attendees. What else can this guy do? Well… he is an expert in 100-square checkers, a game that he says is equal or more complex than chess. He mentions that players like Senegal's Ndiaga Samb are among today's' rising young stars. He has played in one 1997 tournament and was paired with 6-time World Champion, Iser Kuperman in the 1st round!! In that game, Charles held his own, but fell into time pressure and blundered. However, he would score a respectable 3½-5½ in the tournament against master opposition. He proudly speaks on some of the African checker geniuses, but in particular, Senegalese Baba Sy. Charles Covington's excellence is a testament to his strong will, determination, and of course his wife of 36 years, Becky Covington. He speaks fondly of his wife with the glee of a newlywed. Both Charles and Becky have been vegetarians for 25 years and when observing this couple, you'll see that this lifestyle has made them appear 15-20 years younger. The couple has two daughters (Benita, 45 and Tracey, 35) and from listening to them talk about each other, one can tell the two are truly "soul mates." Congratulations to Charles Covington, a chess master, world-class musician, master magician, and proud husband! !